New iPhone Will Reportedly Have A Unibody Design, Will Launch In October? It may only be April, but reports of iPhone rumors are already beginning to crop up, and the latest happens to come straight from the horse’s mouth. Kotaku, translating a report by a Chinese newspaper, is reporting that one Foxconn official has been speaking of Apple’s plans for the new iPhone, and he’s even gone so far as to predict a possible release date. Foxconn currently produces Apple’s iOS devices, including the iPhone, and the company’s Head of Human Resources has been telling Chinese paper, Maeil Business Newspaper, that Foxconn has received an order from the Cupertino outfit. "We just got the order," the Foxconn human resources head reportedly told the newspaper. "[The release] will be around October." Reportedly for a new iPhone, the order has led Foxconn to begin a massive recruitment drive to ensure that enough hands are on deck in order to meet Apple’s release schedule. That release schedule, at least according to the source, pegs the new iPhone for a release during October of this year. Since Apple launched the iPhone 4S last October, hence our money rests on the fact that Apple will stick with their release cycle and launch the next iPhone this October. Foxconn’s new order simply adds a little meat to the bones of all our assumptions. Real hard facts about the new iPhone release are hard to come by, but with Foxconn employees seemingly more eager to speak up than usual, we wouldn’t be surprised if that changed over the coming months. The new iPhone itself is also the subject of rumors surrounding its impending design features. 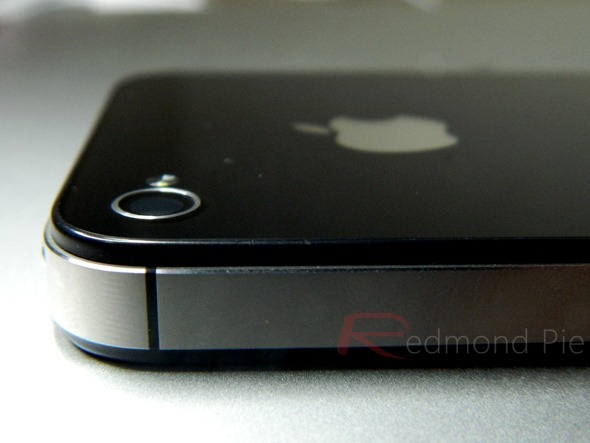 Again, as was the case with the iPhone 4S, rumors are abound that the new handset will feature a new, sleek body. With the iPhone 4S sporting the same shell as the iPhone 4, it is a safe bet to assume that the new handset will see a redesigned body. Unibody designs are becoming the norm for Android handset makers, with HTC recently producing the impressive One X handset. Apple is expected to offer a similar unibody design, too, and that could prove to be the basis for another Jonny Ive classic, according to reports. Foxconn has been in the news often, of late. Stories of poor working conditions and low pay have been cropping up for years, but with big media interest lately, Apple CEO Tim Cook took time to check out the situation at Foxconn himself recently. Undoubtedly a PR move, as much as a genuine desire to improve conditions, the visit did draw even more attention to a situation which is notoriously shrouded in secrecy. Apple will be hoping that people will stop talking about Foxconn and focus on the products, but the story just won’t go away. Even if the products become the subject of all the talk, of late that talk has been about claimed defects and problems. All that money will probably take their minds off it.